We were approached to design a completely flexible and open live/work space that would also serve as a family home in the future. Our client wanted a place to work during the day, hold meetings with colleagues and business partners, and host large business events or smaller intimate gatherings at night. Maintaining a sense of openness throughout the 3000 sq. ft. former industrial loft was important to our client, as well as maximizing the flow of natural light from all four exposures. The design reflects our client’s involvement with cutting-edge technology companies. The loft is unconventional yet unpretentious, hip yet elegant. The space also houses a collection of paintings by modern artists. The continuously open public areas are visually choreographed so that spaces would merge, compress, and expand depending on the client’s needs. The loft is elastic in feel, able to expand for a large 100–person party and then contract into separate zones for more intimate gatherings and events. A tight core of private space (housing the guest bedroom, gym, powder room, and two bathrooms) compresses the center of the public area at the kitchen, a focal point in the loft. As a compact volume of service spaces, the core allowed us to maximize the open area around it. The undulating façade fronting the public areas is punctuated by saturated fields of blue lacquer, rich materials (walnut, stainless steel, and ‘anodized’ glass), and ambiguously translucent screen doors. The façade comes alive as light illuminates and passes through these materials, providing contrast and texture in a very tactile way. 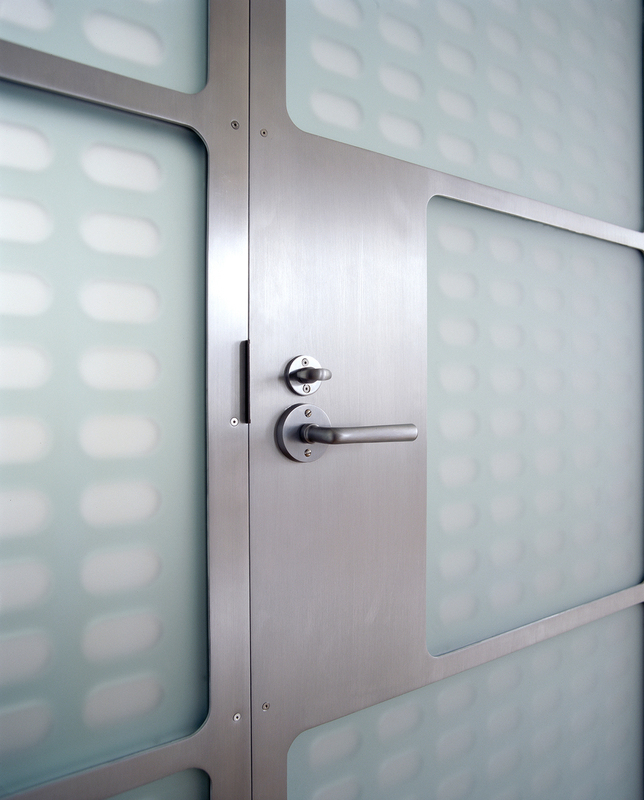 The translucent screen doors allow light to flow from the private core into the public areas. 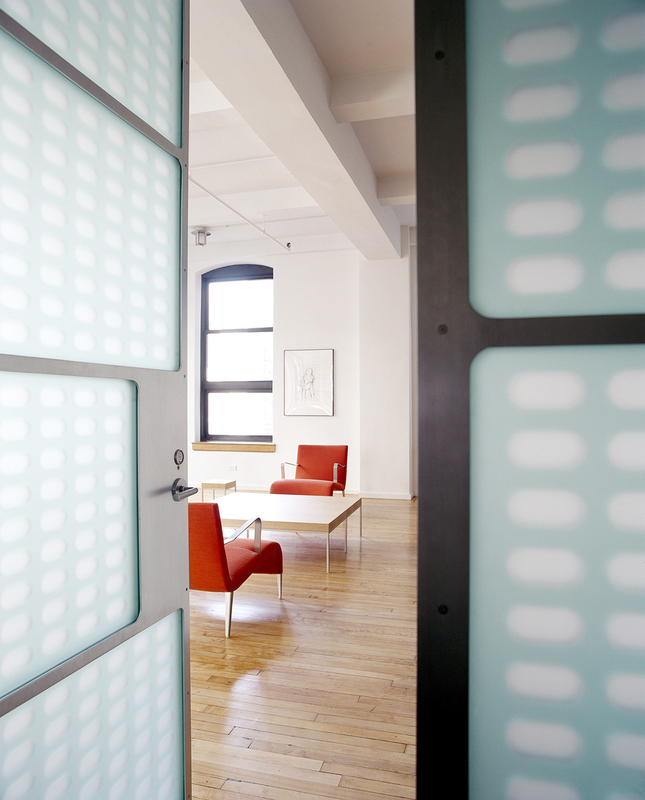 They are a composite of etched glass and laser-cut acrylic panels housed in aluminum frames. Their patterning was inspired by the traditional Indian ‘jali’. As one walks by the doors, the changing degrees of light refraction between the sandwiched materials creates a shifting pattern of translucency.